The cast of the James Gunn-written horror film The Belko Experiment, directed by Wolf Creek’s Greg McLean, is starting to come together pretty quickly. We just found out that the movie exists on Tuesday, when we also found out that Scandal‘s Tony Goldwyn will star as the head of an office where the employees are forced to murder each other. Earlier today, we reported that Fruitvale Station’s Melonie Diaz has also joined the project as a recent hire whose first day happens to coincide with all of the murdering. 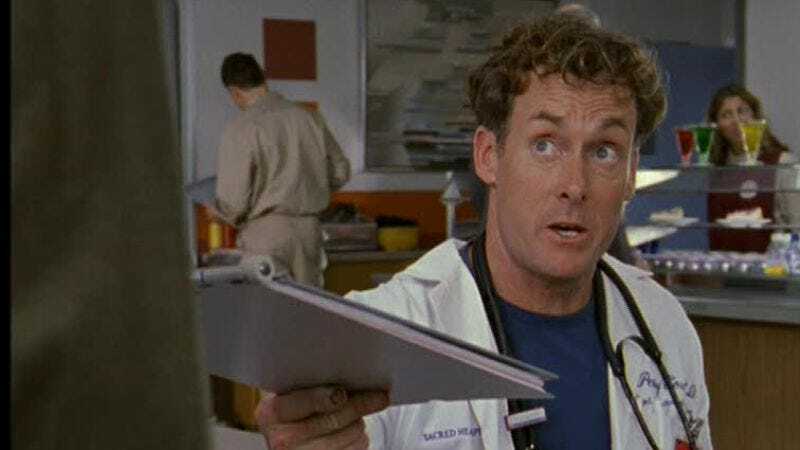 Now, Variety is reporting that Scrubs’ John C. McGinley has also joined the cast. The announcement—like the other casting announcements—came from Gunn’s Facebook page, with Gunn directly referencing McGinley’s work as Bob Slydell in Office Space. Variety says he’ll be playing “a socially awkward top exec at Belko, and longtime friend of Tony Goldwyn’s character.” Given that description, it sounds like this will be an interesting change of pace for a McGinley character, especially for people who only know him as the cranky Dr. Cox from Scrubs. Hopefully he can at least turn a few two syllable words into six syllable words, because that’s always re-he-he-he-heally fun.